Operating out of its hub at Dubai International Airport, Emirates Airlines is the largest Middle Eastern airline with around 3,400 weekly flights to over 70 countries across six continents. Founded by Maurice Flanagan in 1985 the airline has a fleet size of 223 comprising numerous Boeing and Airbus aircraft with a further 269 on order as well as its cargo division Skycargo. A subsidiary of The Emirates Group, Emirates has code-share agreements with numerous airlines including South African Airways. Since 1994 Emirates has proudly taken 17 Middle Easts’ Leading Airline and four World’s Leading Airline awards. 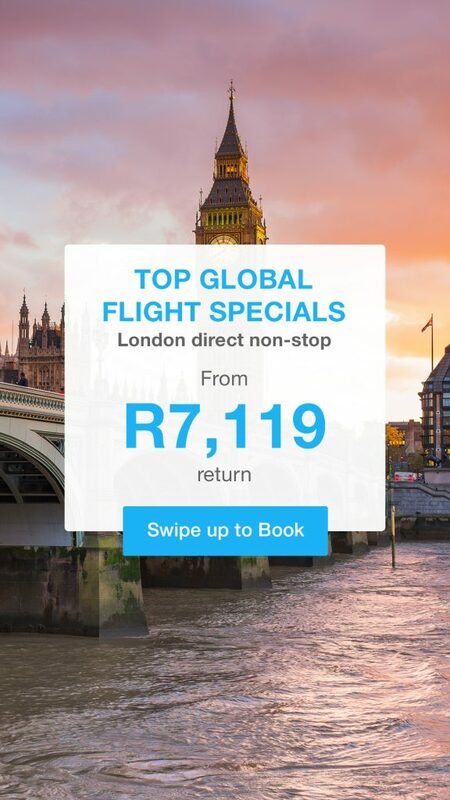 Additionally the airline has since 2010 taken nine Leading Airline Rewards Programme, five Leading Airport Lounges and seven Leading Airline Website rewards including others. 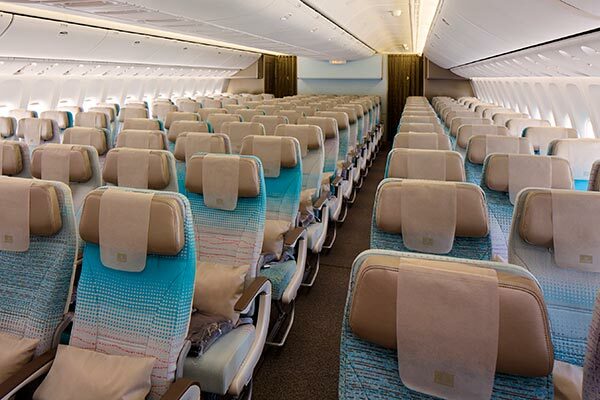 Travellers have three classes of travel to choose from and its frequent flyers can join the Emirates Skywards programme. Passengers have a great choice of in-flight entertainment comprising video games, movies, music and audio available in 10 languages. In 2014, they were awarded ”Best Airline Worldwide” , the ”Best Aviation Company of the Year”, and named the ”Best Airline Cabbin Staff”. These are nothing to be sneezed at. Emirates Airlines have been awarded numerous times over the past years for the quality of their in-flight cuisine, the variety of their in-flight entertainment, and the high level of service that they offer. 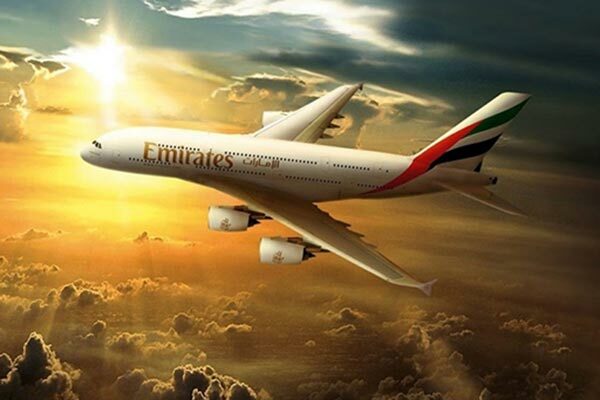 Emirates operations include the most modern technologies for saving fuel and emissions. They are as passionate about the environment as you and I. Passengers have between 24 hours and 90 minutes prior to departure to check-in online and must be at the airport within 90 minutes, pass through security within 60 minutes and be at the boarding gate within 20 minutes before departure in order not to miss their flight. Passengers should make use of the baggage allowance calculator for their specific route to avoid excess baggage charges. Passengers travelling with an infant in all classes are allowed one additional piece not exceeding 10kg in weight. 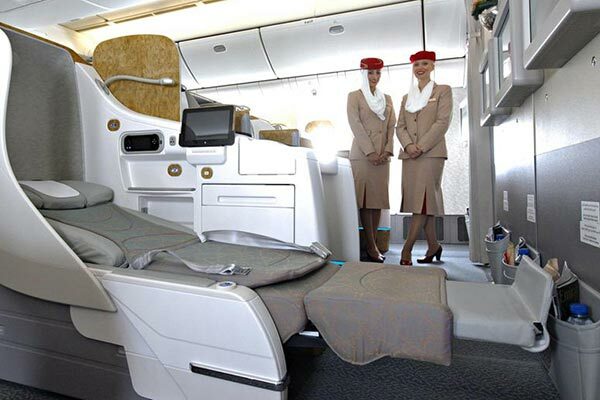 Business and First Class passengers on Emirates Airlines flights have an allowance of two pieces, a briefcase and handbag or garment bag while Economy Class passengers may take one piece, a laptop bag or handbag. Items in all classes may not weigh more than 7kg each. Guests travelling with an infant may take one carry-cot or a fully collapsible stroller. Emirates Airlines accepts Unaccompanied Minors from five years to under 12 years of age provided they travel on a full adult fare ticket. Young passengers from age 12 to 15 years and may also use this service when requested by parents. Passengers can go online to check their flight status and what services are offered on their specific flight by inputting their flight number. Emirates lands at Cape Town, King Shaka and OR Tambo International Airports and travellers can phone them from within South Africa 24 hours daily on 086 0123 155.